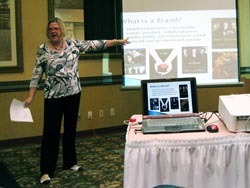 Cindy is available for public speaking and workshops. See the list of titles. 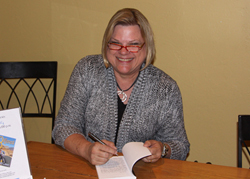 Cindy Causey taught herself to type in the 8th grade because she couldn't write in her diary fast enough in longhand. A degree in advertising and a career as an advertising copywriter were the result. A fifteen year stint as a copy chief at JCPenney Catalog qualified her to become Content Development Manager for JCPenney.com and then Internet Marketing Manager. After 20 years at JCPenney, Cindy retired in December, 2007, and is now working full time with her husband Scott in their multi-media production company, LH Media Center. They specialize in audio/video production and editing, vintage media transfer to DVD and CD, computer repair and virus removal, as well as website design and hosting. 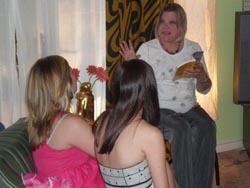 After her first book, a non-fiction work called Cherish the Gift: a Congregational Guide to Earth Stewardship, was published, Cindy began writing fiction. She found her voice in romance, stories of the struggles two people endure on the road to happily every-after. 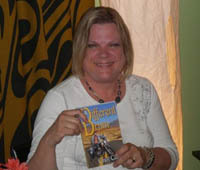 Her first published romance, A Different Drum, is a story she hopes readers will fall in love with, too. 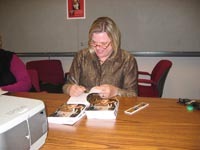 It was published in May 2009 by The Wild Rose Press. 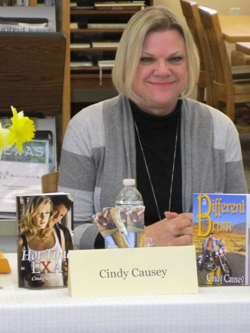 Cindy's second romance A Hot Time in Texas, also with The Wild Rose Press, came out in August of 2009 and is a steamy romp through a crazy summer in a small town. Cindy and Scott make their home in Dallas, where they both grew up. 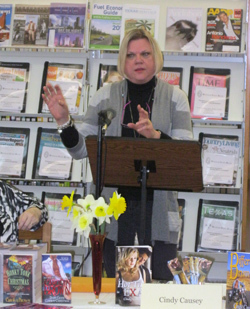 In addition to writing, Cindy enjoys scrapbooking, public speaking and teaching, and juggling the needs of 4 grown children and 2 aging parents. She would like to see the edges of the entire world from the deck of a cruise ship. 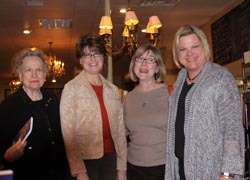 Here are a few pictures of recent book signings and workshops. 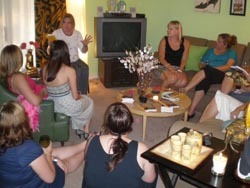 Click here to see the slideshow from Adam's Booksigning Soiree.